-slogan was "burn baby burn"
View Malcolm X and over 3,000,000 other topics on Qwiki. He was the leader of the black Muslims in the USA. The blacks rejected Christianity as a 'white' religion and didn't like followers of Martin Luther King's pacifist ways because he was more violent than MLK. He believed blacks needed to protest with force most blacks didn't want to be peaceful or patient during protests and in the late 60s many poor ghettos rioted and burned property. 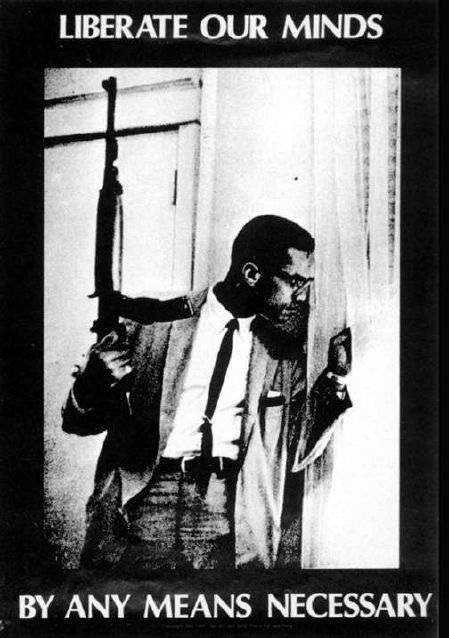 He was assassinated in 1965 because of his disputes with the black Muslim Movement.